Design Hovie Studios, Inc., has done the naming, and created the brand identity, product brochure and web site for SOMADE USA. SOMADE sources, manages, and delivers a wide variety of high-end custom products for private labels through its bases in the USA and China. 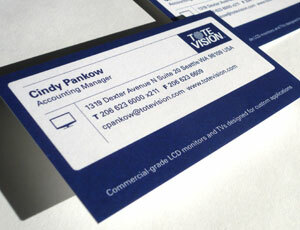 Design Hovie Studios created the new name by extracting the first two letters of each word in their tag line... Source, Manage, Deliver. 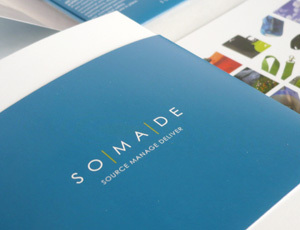 The modern SOMADE brand was then developed and kept purposely clean so as to mesh with the wide variety of products the company sources; everything from flatware, and mugs to apparel and solar energy products. 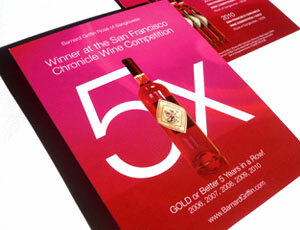 Finally, the mini, 4"x5.5" product brochure was designed with quality and economy in mind. The brochure includes a outer wrap that "specializes" the presentation while the interior uses a sleek pocket to house various product information card. The entire project was completed in one month by Creative Director Hovie Hawk and designer Maxwell Churchill. 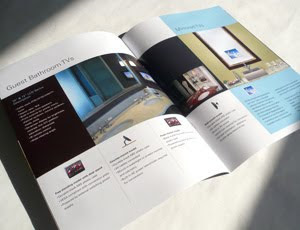 Design Hovie Studios has recently completed designing the new Hospitality brochure for Seattle company ToteVision. ToteVision makes commercial grade televisions and monitors that can run continuously for 4 years! Perfect for the wear and tear the units will endure in hotels, restaurants, bars, lobbies, etc. where they need to be on round the clock. 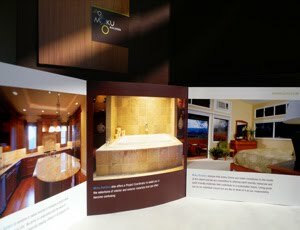 The new brochures showcase the sets in actual environments giving the viewer a clear idea of where and how these sets can be used. Design Hovie Studios created a new color pallet (differing from ToteVision's corporate royal blue) for the piece that uses designer tones (espresso, sky, slate, and harvest yellow) seen in hotel environments. The project was completed in one month by Creative Director Hovie Hawk and designer Maxwell Churchill.